Boeing delivered 69 737 airplanes in December and set a new annual record for the company of 806 deliveries in 2018, surpassing its previous record of 763 deliveries in 2017. Boeing continues to explain, even as it delivered more jetliners than ever before, the company also grew its order book with 893 net orders, including 203 airplane sales in December. “In a dynamic year, our production discipline and our supplier partners helped us build and deliver more airplanes than ever before to satisfy the strong demand for air travel across the globe,” said Kevin McAllister, president and CEO, commercial airplanes, Boeing. With a seven-year order backlog, Boeing increased production of the 737 in the middle of 2018 to 52 airplanes per month. Nearly half of the year’s 580 737 deliveries were from the more fuel-efficient and longer-range MAX family, including the first MAX 9 airplanes. Boeing also continued to build the 787 Dreamliner at its highest production rate for a twin-aisle airplane. The Dreamliner program finished with 145 deliveries for the year. Deliveries of various 777, 767 and 747-8 models rounded out the total of 806 airplanes for the year. 767 deliveries include the transfer of 10 767-2C aircraft to Boeing Defense, Space & Security for the U.S. Air Force KC-46 tanker program. In terms of orders, Boeing achieved sales success across its airplane portfolio with 893 net orders valued at US$143.7 billion according to list prices. The company explains it showed particular strength in the twin-aisle category with 218 widebody orders last year. The 787 Dreamliner extended its status as the fastest-selling twin-aisle jet in history, according to the company, with 109 orders last year or about 1,400 since the program launched. Highlights according to Boeing include Hawaiian Airlines switching from the Airbus A330 to the 787 and Turkish Airlines becoming a new customer. American Airlines and United Airlines added to its list of repeat Dreamliner purchases with 47 and 13 additional jets, respectively. The 777 family had 51 net orders in 2018, driven by sales of the 777 Freighter to DHL Express, FedEx Express, ANA Cargo, Qatar Airways and other major freight operators. With additional sales in December, the 777 program exceeded 2,000 orders since its launch. The 737 MAX family also achieved a major sales milestone in December, according to Boeing, surpassing 5,000 net orders with 181 new sales during December. For the full year, the 737 program achieved 675 net orders, including sales to 13 new customers. 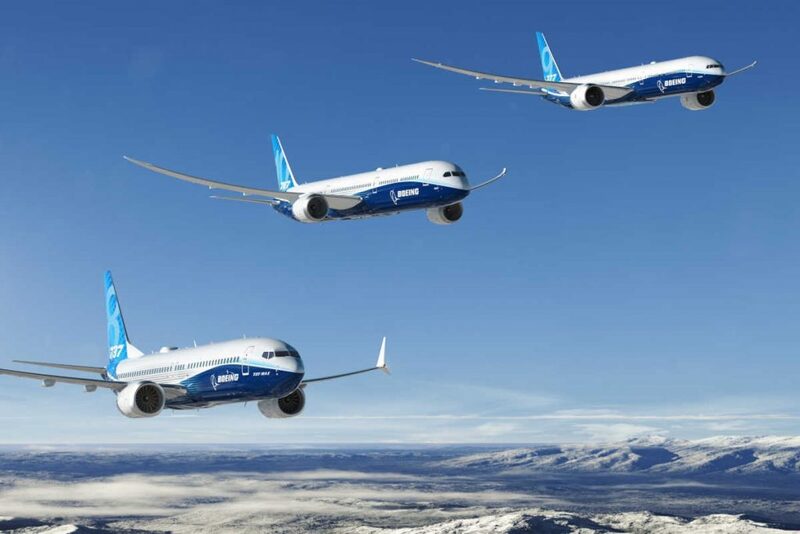 “In addition to the ongoing demand for the 737 MAX, we saw strong sales for every one of our twin-aisle airplanes in a ringing endorsement of their market-leading performance and efficiency,” said Ihssane Mounir, senior vice president of commercial sales and marketing for Boeing. He continued to explain this year of healthy jet orders supports Boeing’s long-term forecast that the commercial airplane fleet will double in 20 years.